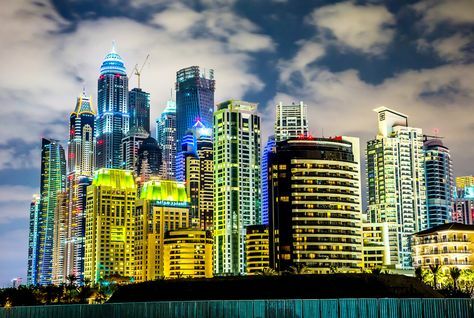 Despite a strong US dollar, the cost of living in Dubai and Abu Dhabi went up only marginally last year, with both the UAE emirates not featuring among the world’s Top 20 costliest cities for expats. According to Mercer’s 2016 Cost of Living Survey, Dubai is the 21st most expensive city in the world (relatively more expensive than the 23rd slot it occupied last year) while Abu Dhabi comes in at No. 25 this year (from No. 33 last year). Mercer’s survey covers 209 cities across five continents with Hong Kong ranking highest, pushing Luanda to second place. A stronger dollar contributed to the rising cost of living in the US as well as other countries with dollar-linked currencies, including the UAE, the report highlighted. Dubai continues to be the most expensive city in the Middle East for expatriates, followed by Abu Dhabi (25) and Beirut (50). Jeddah (121) remains the least expensive city in the region despite rising 30 places this year, the survey notes. “The main reason Dubai and Abu Dhabi, and in fact almost all cities in the Middle East increased in rank, is that their currencies are pegged to the US dollar, with Riyadh for instance currently rated more expensive than Rome,” said Rob Thissen, Talent Mobility Consultant at Mercer Middle East. “Several cities in the Middle East experienced a jump in the ranking, as they are being pushed up by other locations’ decline, as well as the strong increase for expatriate rental accommodation costs, particularly in Abu Dhabi and Jeddah,” added Nathalie Constantin-Métral, Principal at Mercer with responsibility for compiling the survey ranking. “These rankings uniquely combine day-to-day expenditure on goods and services such as food, clothing and transportation, with rental prices. While prices of most goods and services are considered to be cheaper in Saudi Arabia compared with Europe, it is the expatriate rental market that pushes cities like Riyadh and Jeddah up the ranking,” Thissen added. Mercer’s 22nd annual Cost of Living Survey finds that factors including currency fluctuations, cost inflation for goods and services, and instability of accommodation prices, contribute to the cost of expatriate packages for employees on international assignments. “What this means is that once again, cities in our region [Middle East] have become more expensive to send people to, with expatriates expecting increased cost of living and housing allowances. To the contrary, when sending staff out of the Middle East, multinationals have to be wary that cost of living allowances are likely to go down, and have to clearly explain and communicate this to their staff to avoid lengthy discussions,” said Thissen. Hong Kong tops the list of most expensive cities for expatriates, with Luanda, Angola at No. 2 position. Ranking 3rd, Zurich is the most expensive European city, followed by Singapore (4) and Tokyo (5). Kinshasa, ranked sixth, appears for the first time in the top 10, moving up from 13th place. Other cities appearing in the top 10 of Mercer’s costliest cities for expatriates are Shanghai (7), Geneva (8), N’Djamena (9), and Beijing (10). Windhoek in Namibia is the least expensive city for expats, coming it at No. 209, a drop of three slots from last year. Other among world’s least expensive cities for expatriates, according to Mercer’s survey, are Cape Town (208) and Bishkek (207). Karachi in Pakistan also features among the 10 least expensive cities for expats, at a joint No. 9 along with Botswana’s Gaborone. Australian cities have witnessed some of the most dramatic falls in the ranking this year as the local currency has depreciated against the US dollar. Brisbane (96) and Canberra (98) dropped 30 and 33 spots, respectively, while Sydney (42), Australia’s most expensive ranked city for expatriates, experienced a relatively moderate drop of eleven places. Melbourne fell 24 spots to rank 71. This year, Hong Kong (1) emerged as the most expensive city for expatriates both in Asia and globally as a consequence of Luanda’s drop in the ranking due to the weakening of its local currency. Singapore (4) remained steady while Tokyo (5) climbed six places. Shanghai (7) and Beijing (10) follow. Shenzhen (12) is up two places while Seoul (15) and Guangzhou, China (18) dropped seven and three spots, respectively. Mumbai (82) is India’s most expensive city, followed by New Delhi (130) and Chennai (158). Kolkata (194) and Bangalore (180) are the least expensive Indian cities ranked. Elsewhere in Asia, Bangkok (74), Kuala Lumpur (151) and Hanoi (106) plummeted 29, 38, and 20 places, respectively. Baku (172) had the most drastic fall in the ranking, plummeting more than one hundred places. The city of Ashkhabad in Turkmenistan climbed 61 spots to rank 66 globally. Cities in the US have climbed in the ranking due to the strength of the US dollar against other major currencies, in addition to the significant drop of cities in other regions which resulted in US cities being pushed up the list. New York is up five places to rank 11, the highest-ranked city in the region. San Francisco (26) and Los Angeles (27) climbed 11 and 9 places, respectively, from last year while Seattle (83) jumped 23 places. Among other major US cities, Honolulu (37) is up 15 places, Washington, DC (38) is up 12 places, and Boston (47) is up 17 spots. Portland (117) and Winston Salem, North Carolina (147) remain the least expensive US cities surveyed for expatriates. “Despite mild price increases overall, most cities in the US have climbed in the ranking, primarily due to a strong US dollar,” explained Constantin-Métral. Mercer’s survey uses New York as the base city, and all cities are compared against it. Currency movements are measured against the US dollar.